Quitting smoking can be really tough, even for occasional smokers. To successfully stop smoking, you not only need to change your behavior and cope with nicotine withdrawal symptoms but also find healthy ways to manage your moods. Planning in advance on how to quit smoking can be really helpful. A good quit smoking plan can help you keep yourself on track. 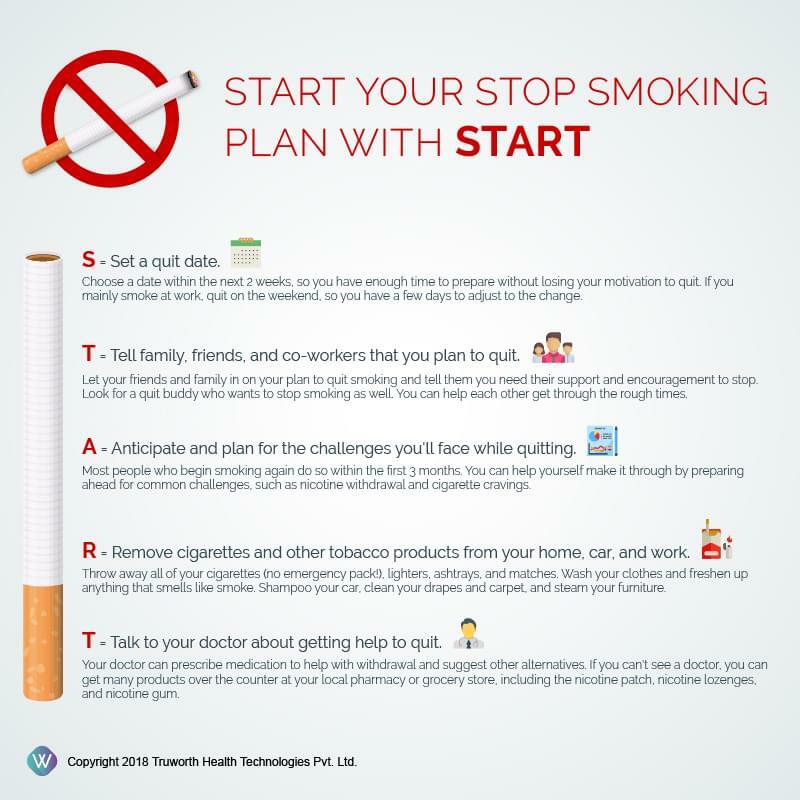 This START plan can be really helpful for you to quit smoking.